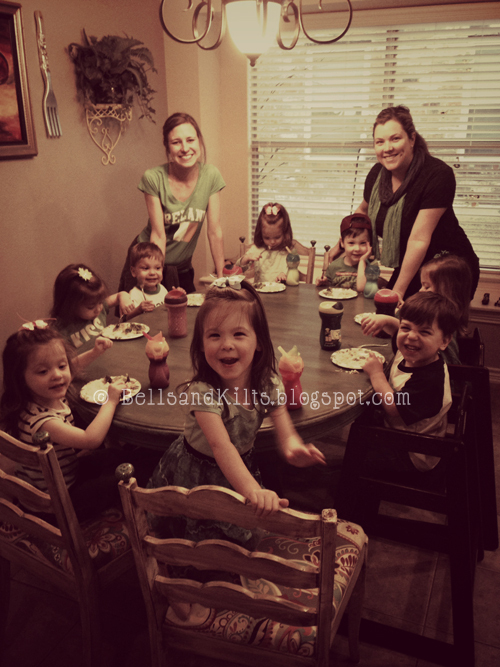 I did my best to dress my kiddos in green but we were mostly sported mint and turquoise since that's the color I buy most clothes in. (Pink and purple are still at the bottom of the totem pole!) I had plans to look festive but time and effort didn't work together so I threw on a scarf and made do. We arrived just before dinner was ready so all the kids plopped down at the table for a spot of painting, thanks to some dollar paint pads I'd grabbed a few days earlier at Target. Love that stuff! Next was a delicious meal that Amber made included pesto chicken with broccoli and rice and key lime yogurt bites for dessert. Total success with eight toddlers who wolfed it all down—that's impressive for any momma and cook! I just love Amber's babies, I've known for them for awhile now and she and I have been fast friends since we were pregnant with our quads—we had our crews seven weeks apart, mine being the first to arrive. 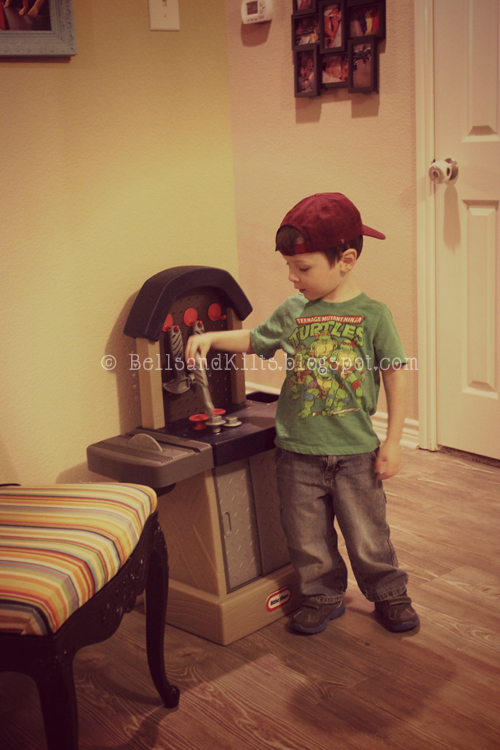 But I do have to admit that her little Mason (below) always has a special place in my heart. 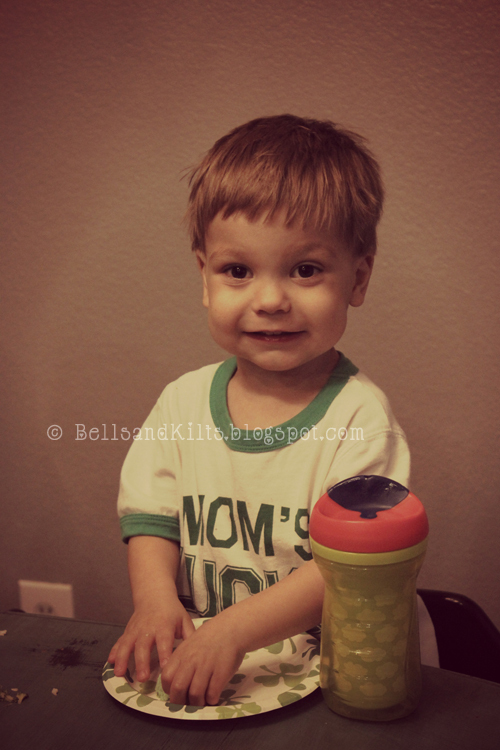 He's just so sweet and loves to cuddle and is so easy to tickle, which is one of my favorite things to do to toddlers! 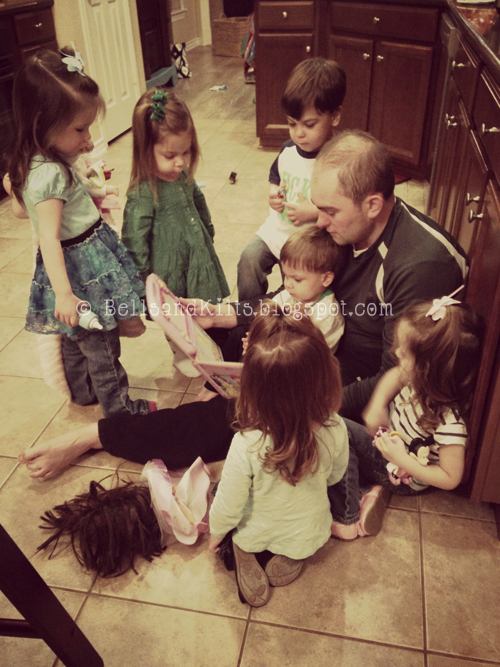 After dinner, the group got a little impromptu story time on the kitchen floor when they brought over books to Amber's husband, George, who didn't bat an eye when eight toddlers clambered on top of and around him. That's a quad dad for ya! 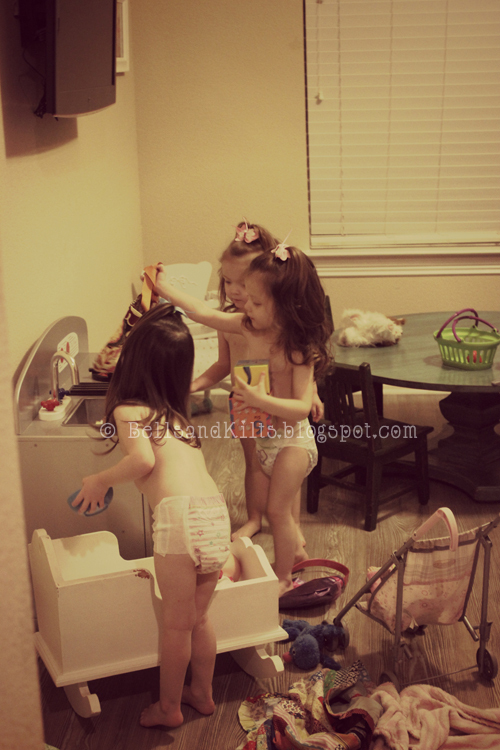 Next we headed to their play room for some free play time and eventually stripped down to diapers so the Shawver kids could show their friends their "naked dance" they perform each night. Eight babies in diapers shakin' their booties is a sight to see! 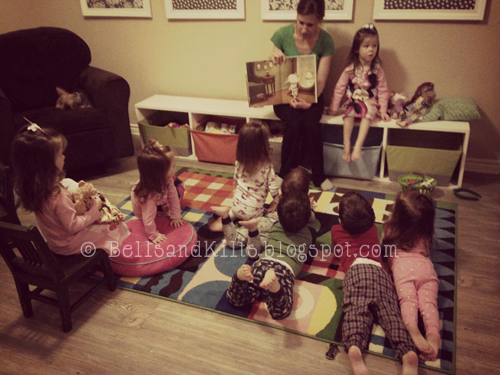 One of my favorite moments was when Amber read a couple books to the kids after everyone had donned their PJs and they all grouped together to listen. It's just so sweet to see these healthy, happy kids play and learn together after all we've been through with their premature births, NICU stays and intense first few weeks at home. So that's how we celebrated, albeit ahead of time! Today hasn't been much of note, I'm not sure anyone even has green on and we've spent our day making a trip to the gym, playing outside in the water table while it's actually warm and dry out and ate our lunch al fresco as well. 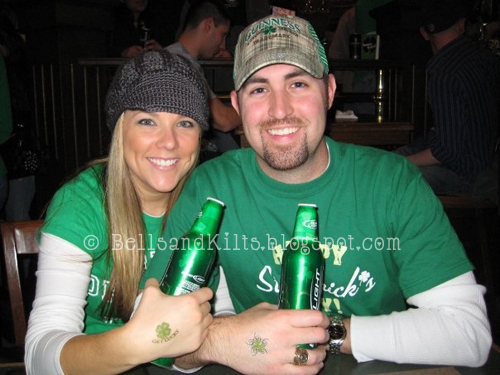 Here's an oldie but goodie of the husband and I in Chicago one St. Patty's Day, as we've always loved the holiday and downing our fair share of green beer. It was the perfect party! The "naked dance"at have been the highlight of the evening, lol. 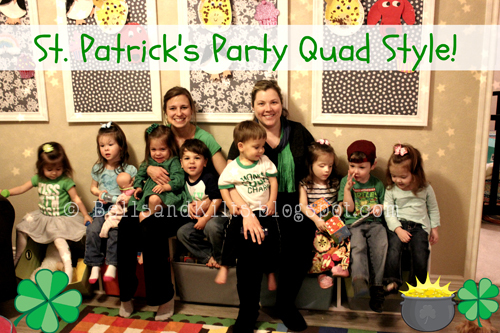 What a bunch of super cute kiddos, looks like everyone had a fun St Pat's day celebreation.